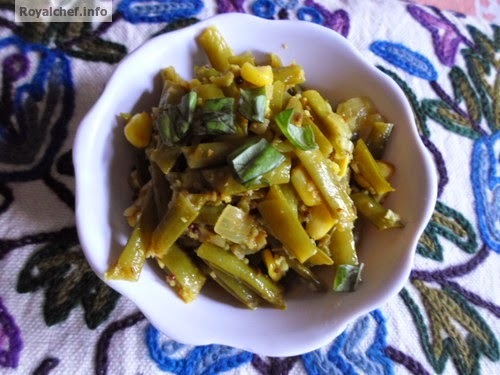 This is a Recipe for preparing at home authentic Maharashtrian Gawar Chi Bhaji (Cluster Beans Vegetable). 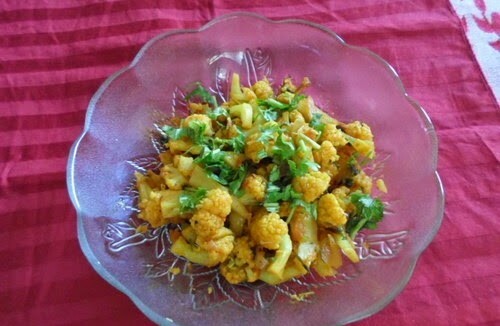 A typical traditional Maharashtrian vegetable dish for the main course. Wash and cut the Cluster Beans. Heat the Oil in a Kadhai and the prepare the Tadka. Add the Onion and fry for 2-3 minutes on a slow flame. Add the Cluster beans, Salt and ¾ cup of the Water. Cover with a stain less steel plate and add some Water over the plate. Cook for 10-15 minutes on slow flame. Then add Coconut, Coriander, Peanut powder and Sugar. Mix it well and cook for 2 minutes on slow flame. The preparation should be somewhat watery and not completely dry. Serve hot with the Chapatti.